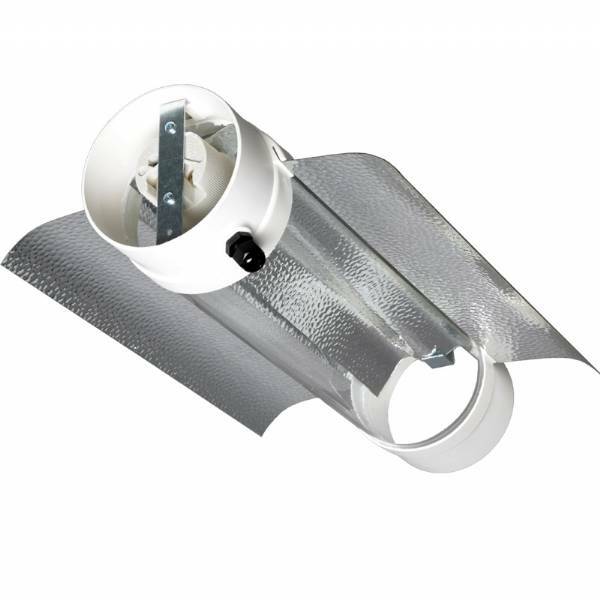 Prima Klima - Cooltube reflector - 150mm Made of BSG glass tube with a high light transmission and an hammered aluminum reflector and equipped with E40 lampholder. COOLTUBE can be also used in the 360 mode. The tunnel cooling effect allows bringing the COOLTUBE closer to the plants. It can be easily mounted with integrated cable lugs. The high quality E40 ceramic lampholder is suitable for HPS & MH lamps. A high quality cable gland secures the connection cable.